I start with low expectations whenever I try to identify a fly. I’m happy if I get to family, but I think I got as far as genus on this one. 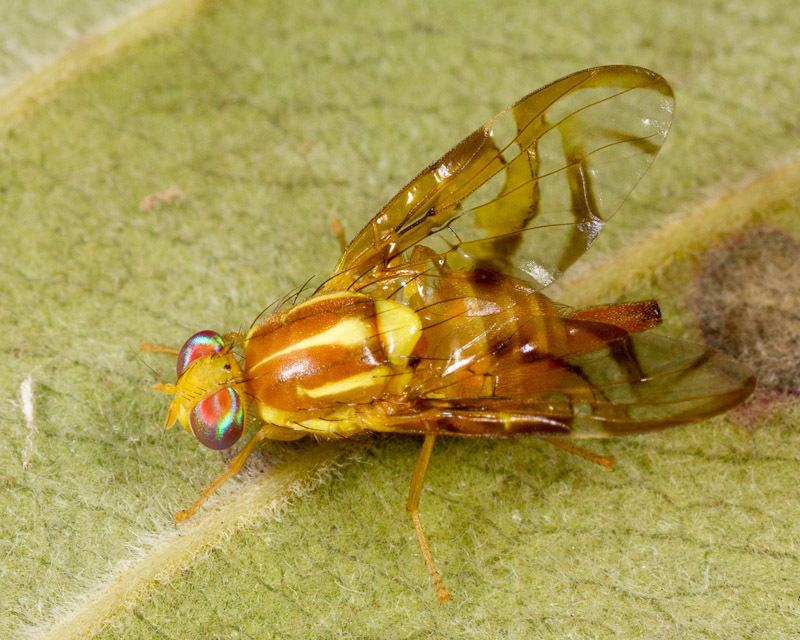 This female fruit fly in the family Tephritidae might be an Anastrepha species.